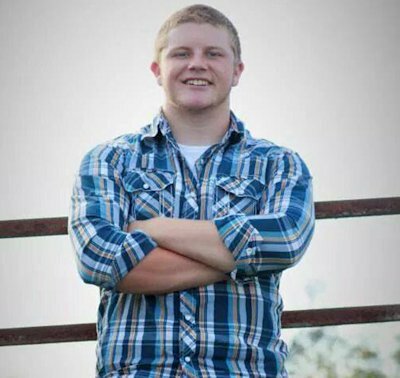 Meet your neighbor and Illini West senior Colton Ragain of La Harpe. Colton is the son of Greg Ragain and Tina Ragain. His father Greg works as a surveyor for the Illinois Department of Transportation. His mother Tina is a nurse at Great River Medical Center in West Burlington, Iowa. Colton was born at the McDonough District Hospital in Macomb. Colton has one brother, Jordan Ragain. His grandparents are the grandson of Garold McConnell and Larry and Pat Ragain. Colton has worked at Western Creek Farms LLC since the beginning of his senior year as a co-op student. One of Colton's biggest achievements is making first team All-Conference nose guard for football. Colton's hobbies include football, fishing, hunting, and riding four-wheelers. He loves just about anything to do with the outdoors. Colton's favorite vacation was going on a fishing trip with his Grandpa Garold to Lake Michigan. For now, his future plans are undecided as to what he is going to do after graduation from Illini West in May 2015.